If you are looking to sell your ATV, you came to the right place. Sell my Motorcycle will buy your ATV, pick it up and pay you the cash. Sell my Motorcycle buys all types of ATV,s including terrain vehicles, 4x4s, sport ATV’s, ATV’s for hunters, 3 and 4 wheelers. All you have to do is fill out our FREE REQUEST QUOTE FORM or call toll free 1-800-963-9216 and we will take care of the rest. Do you need cash right now? We all do. Here is a way. Sell my ATV! At sell my motorcycle, it is quick and easy and you will have your cash almost immediately. Selling your ATV can bring you the extra cash to pay off those unwanted bills, by something nice or just take that vacation you need. 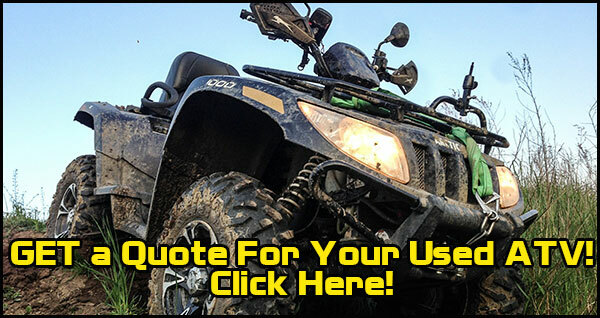 We provide an easy, simple and stress free way to sell your used atv. So if you are asking how I can sell my atv, all you have to do is fill out our FREE REQUEST QUOTE FORM or call toll free 1-800-963-9216. Then Sell my Motorcycle will take care of the rest. Sell my ATV, Sell My Motorcycle, Sell My Motorcycle Today, Selling My Motorcycle, Selling My Motorcycle Today. At Sell My Motorcycle, this is what we do. Looking for how much you can get to sell your motorcycle? Get your FREE Motorcycle Appraisal Today. To Summarize: Sell my ATV If you need to sell your atv fast. Need you cash for your atv now and want top dollar and don’t want to hassle with the conventional ways of selling your atv.